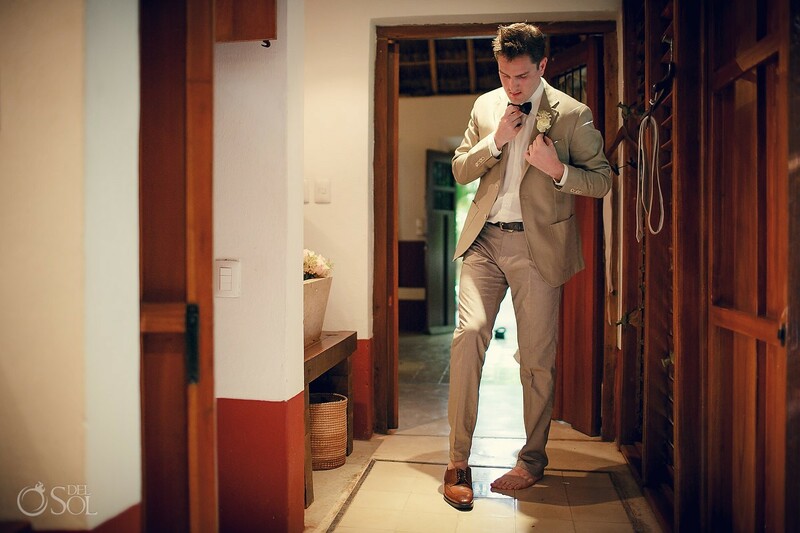 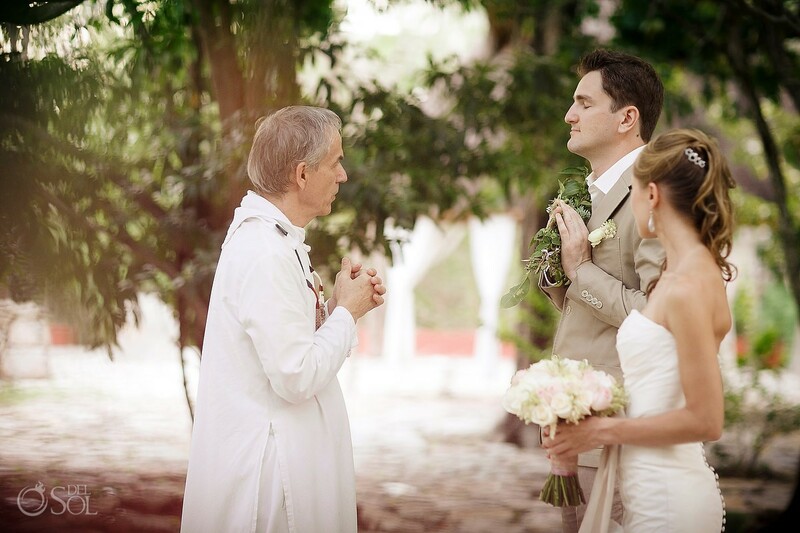 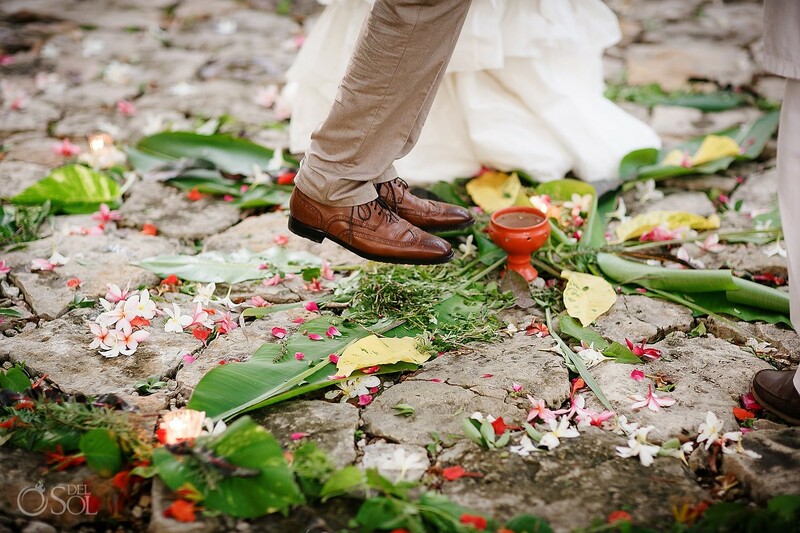 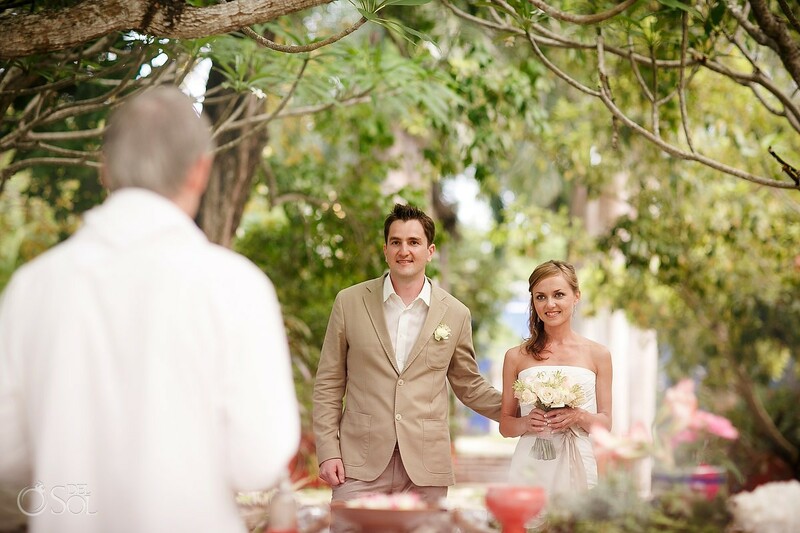 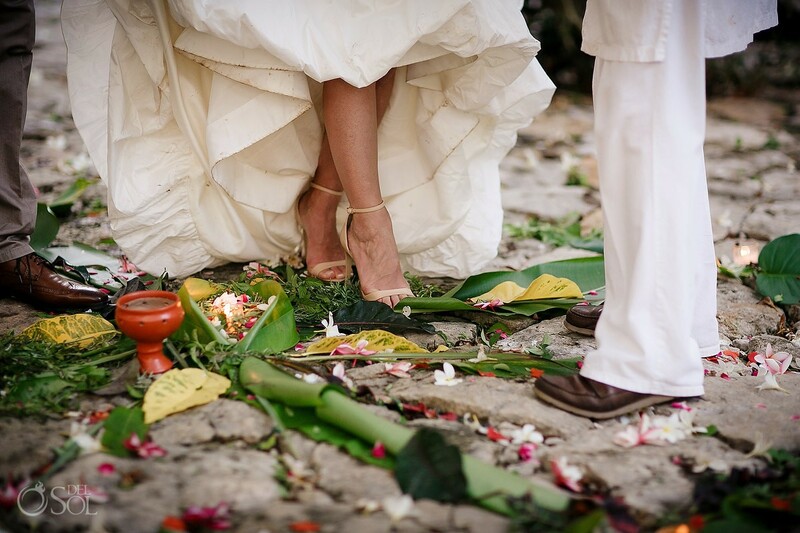 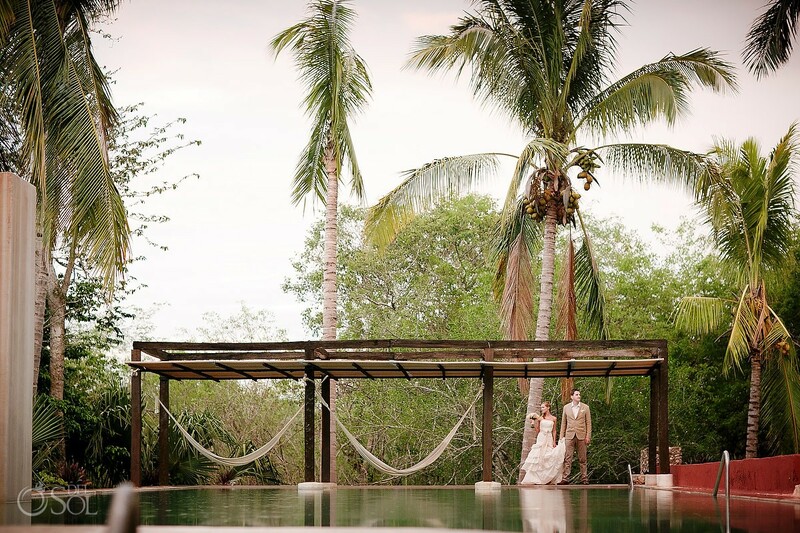 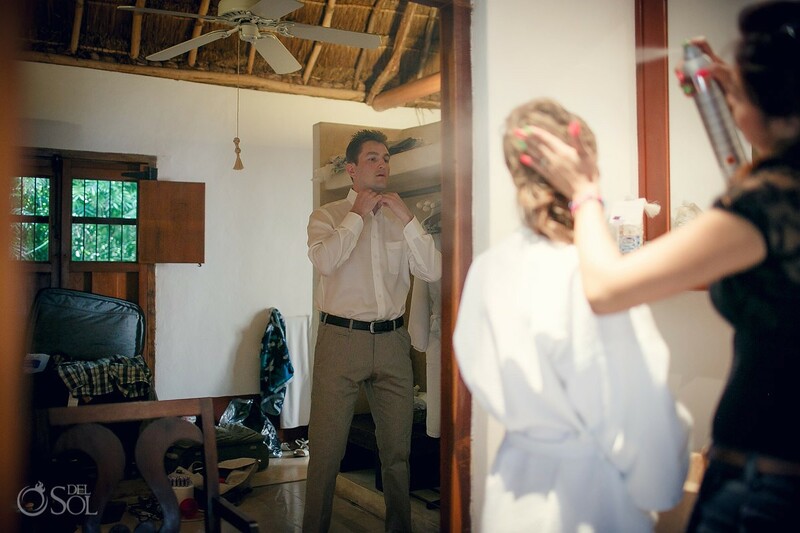 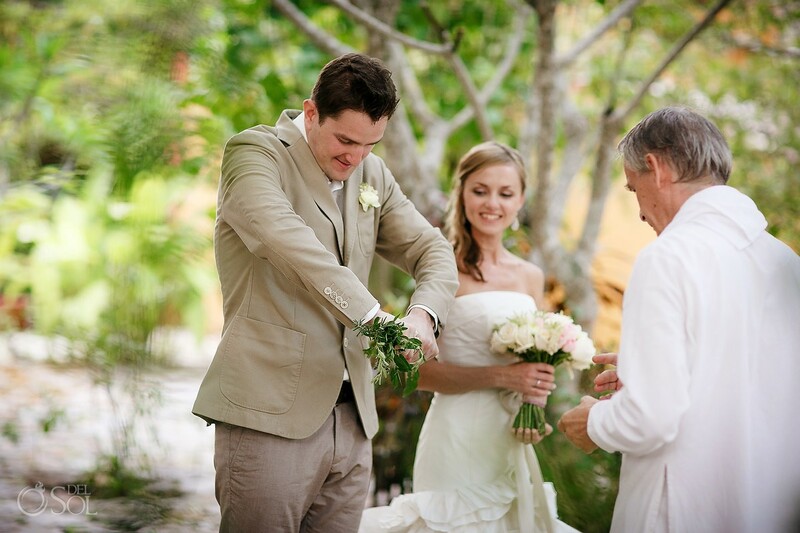 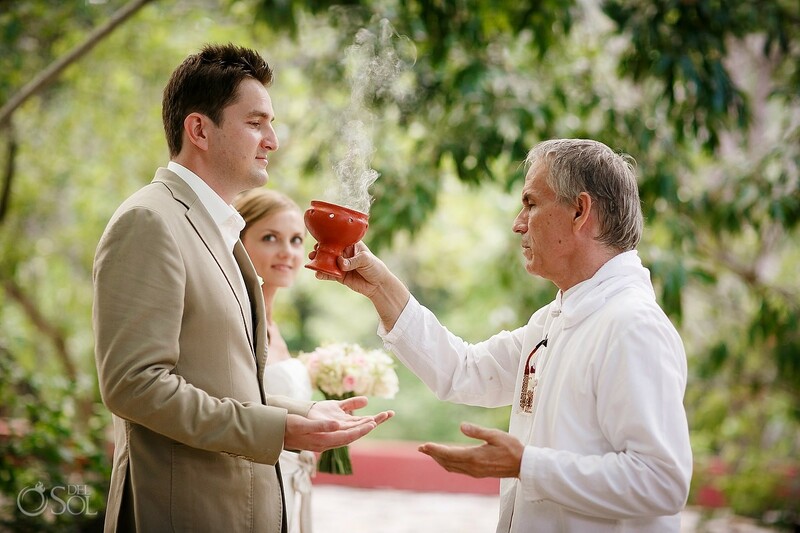 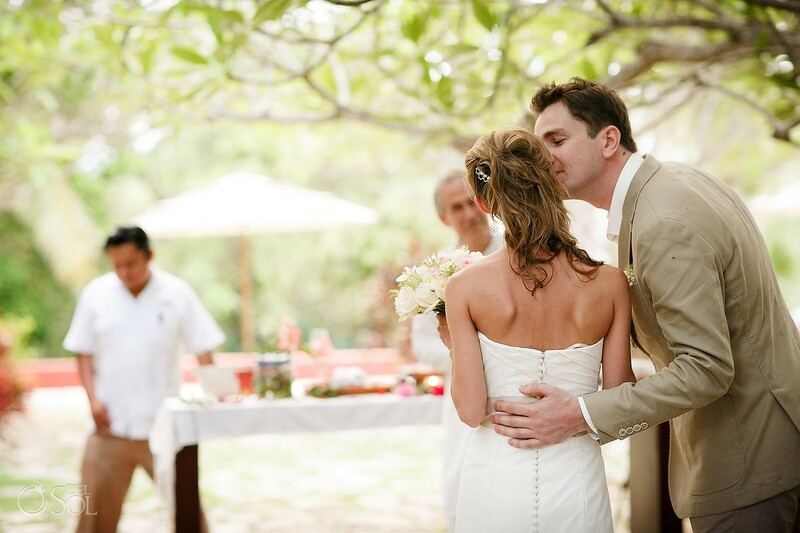 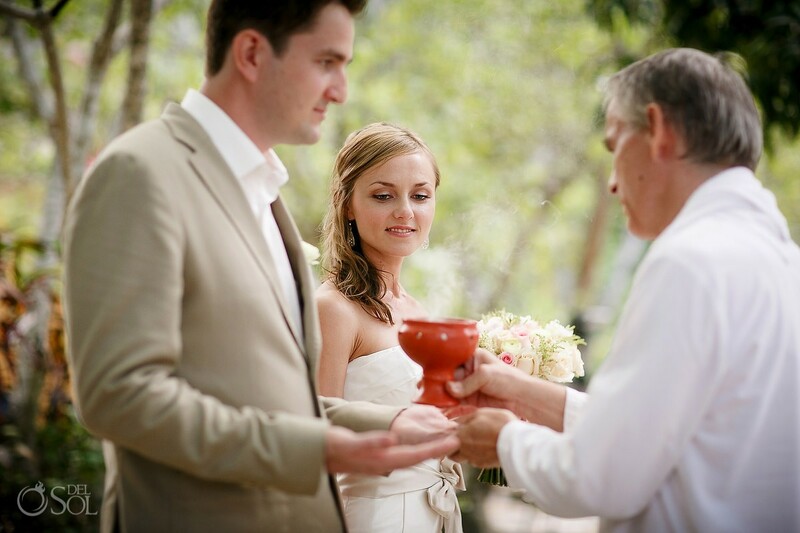 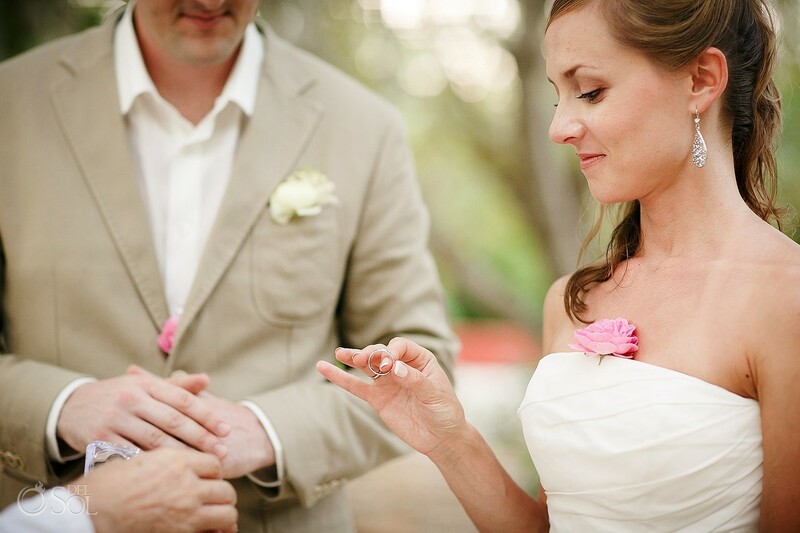 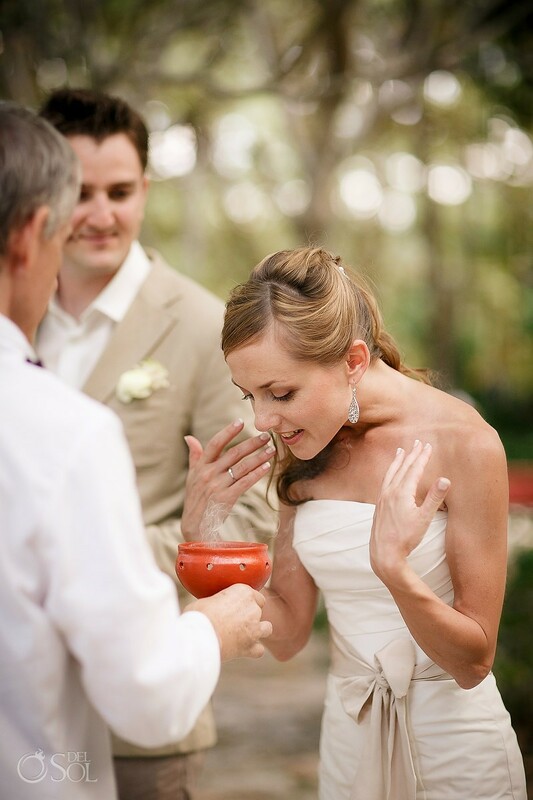 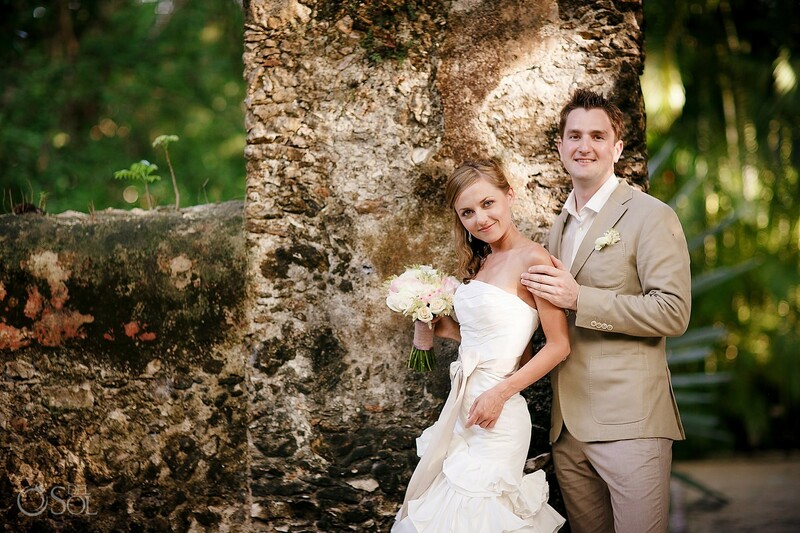 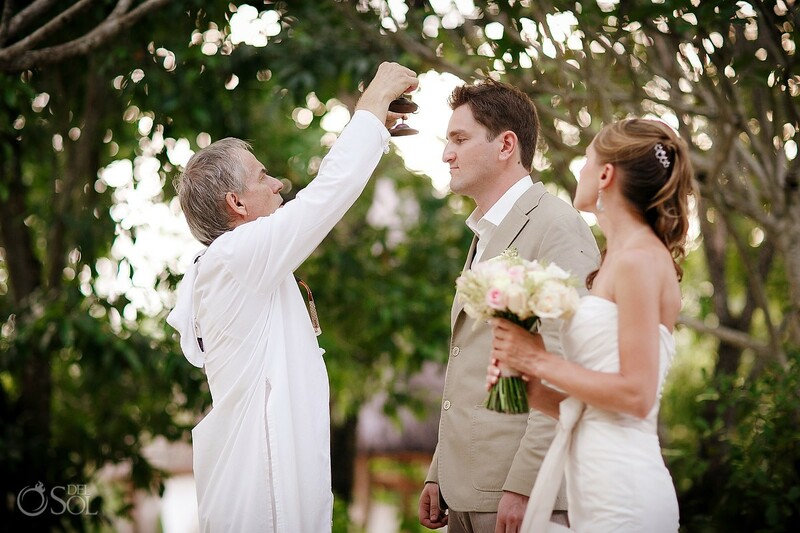 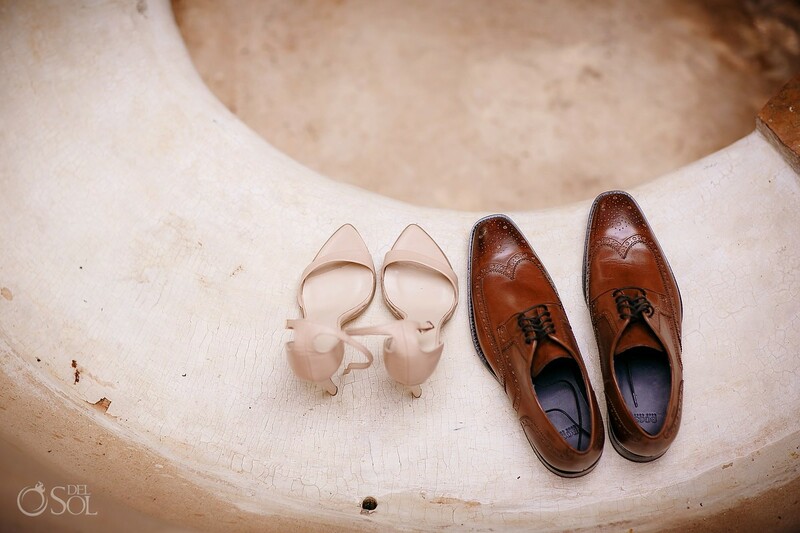 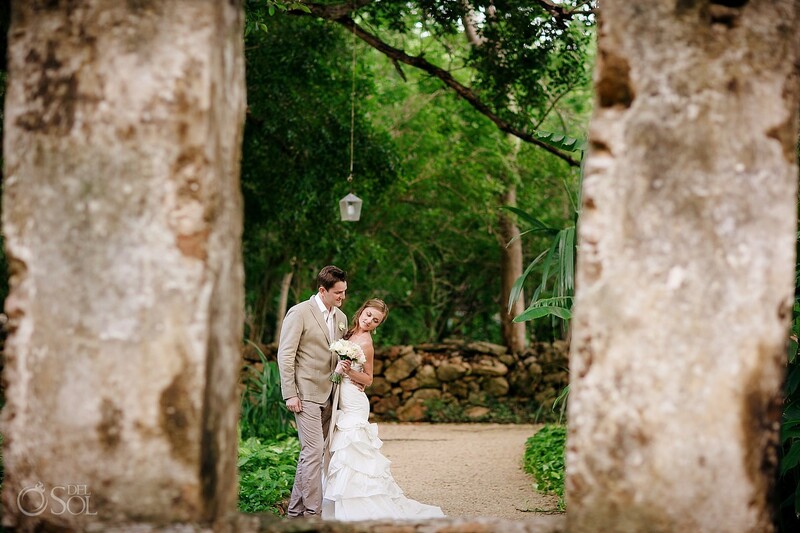 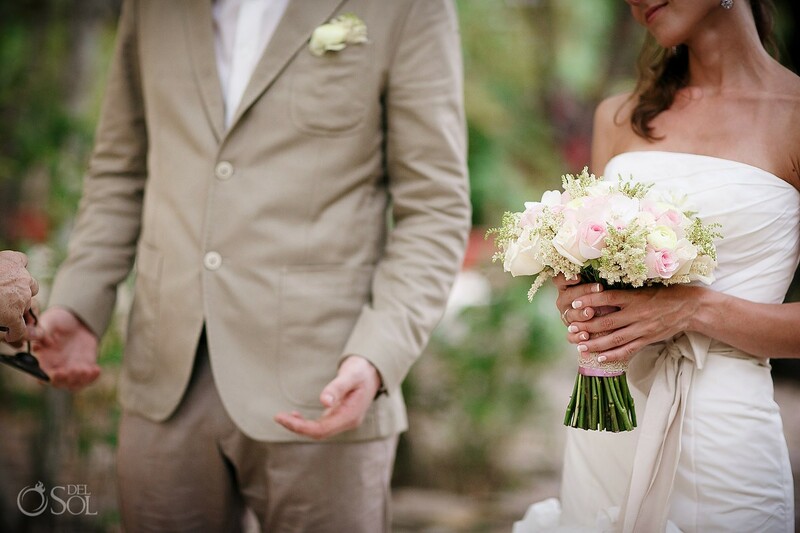 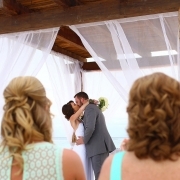 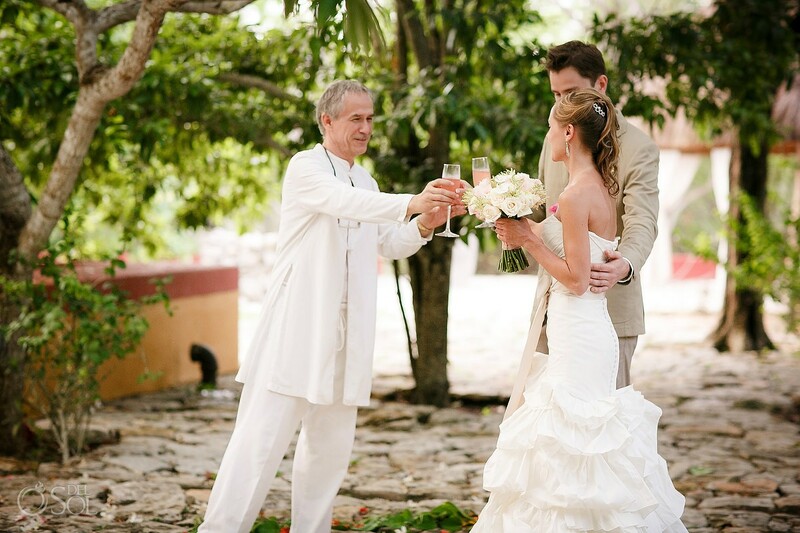 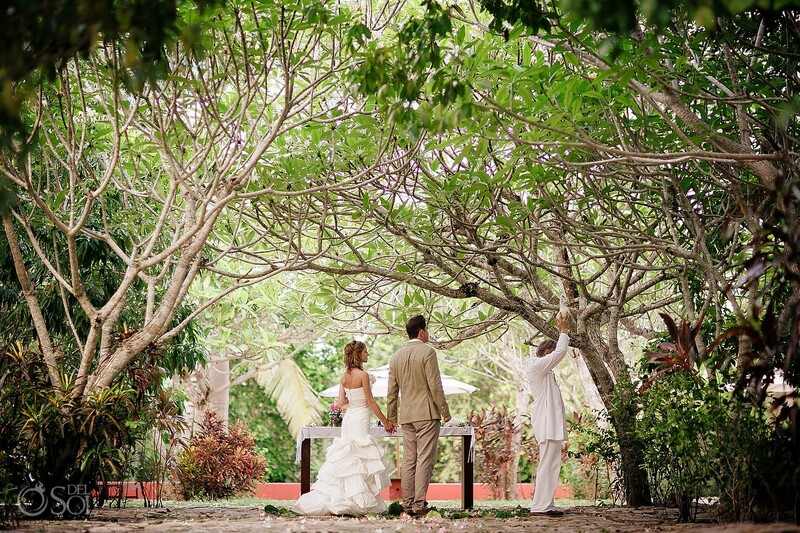 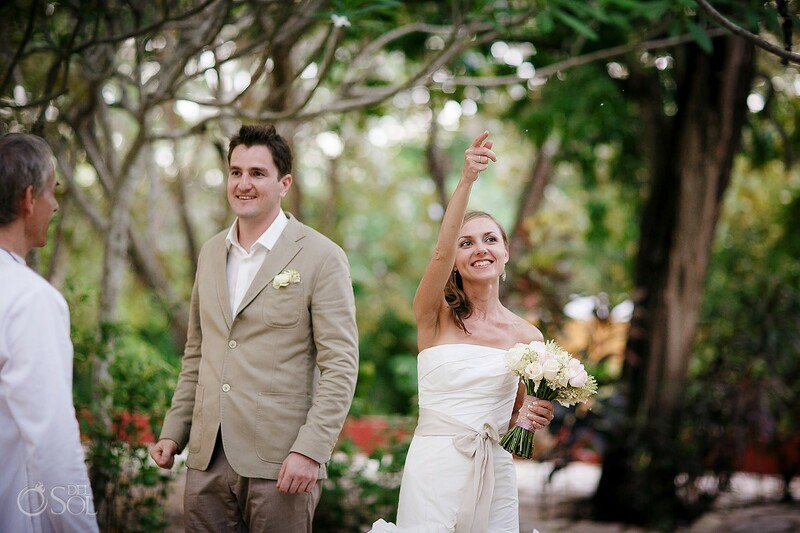 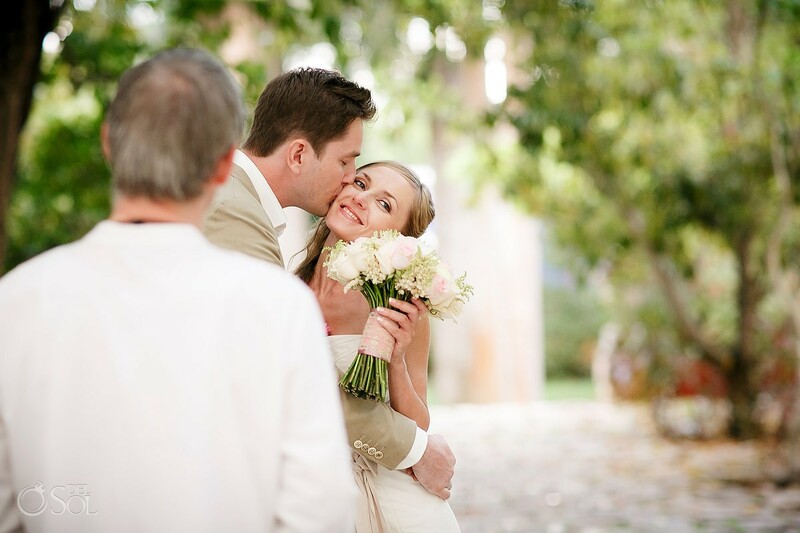 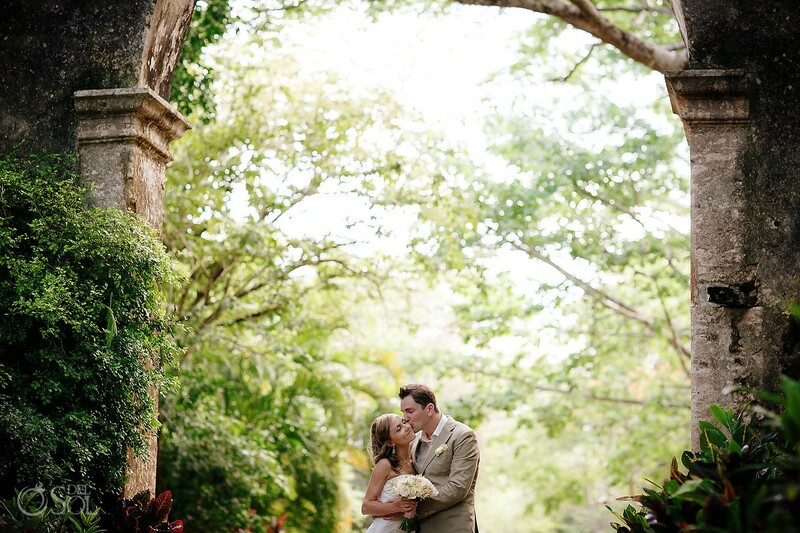 The Yucatan wedding of Masha and Alex at Hacienda San Jose was an intimate and cozy elopement just for two. 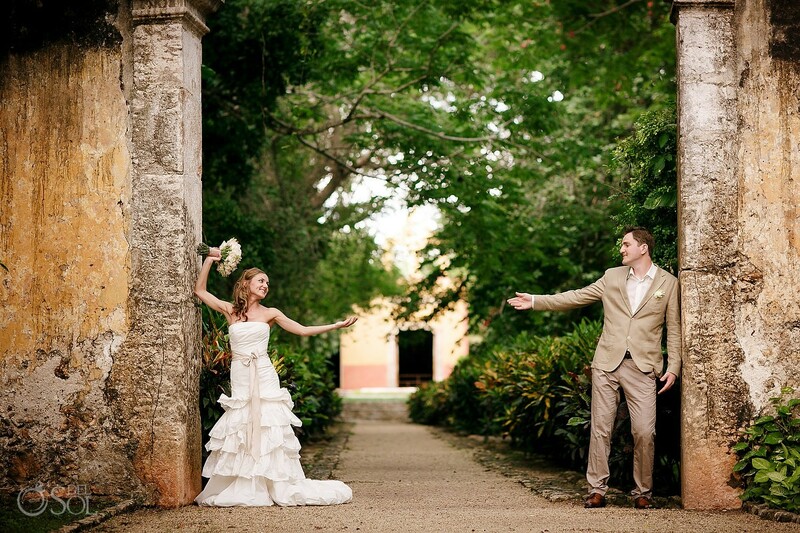 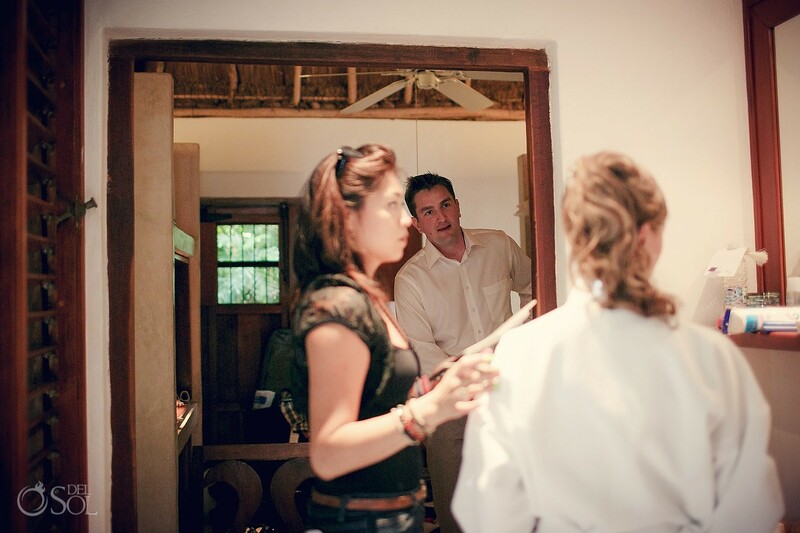 Masha and Alex are long time friends of the photographer and she was excited to recommend the Hacienda San Jose as their wedding venue. 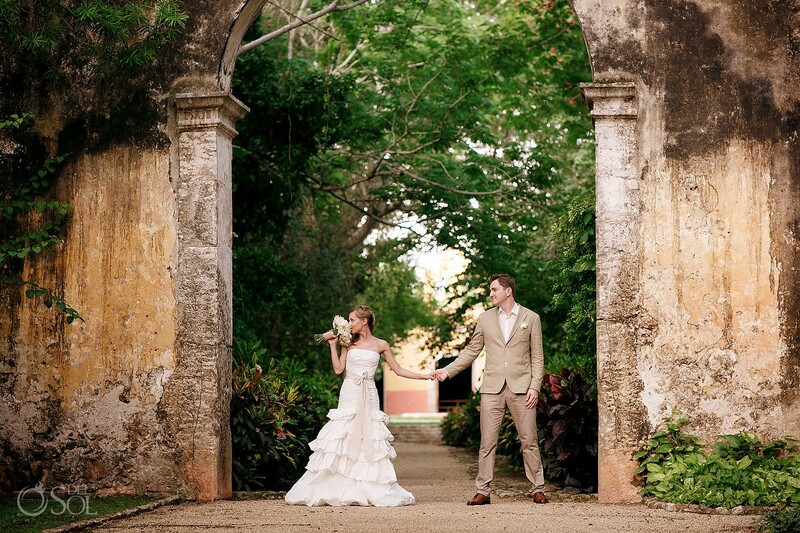 This Colonial era hacienda in the state of Yucatan is truly a marvel, incredible architecture surrounded by lush flora, it is a photographers dream and a romantic setting for a unique destination wedding. 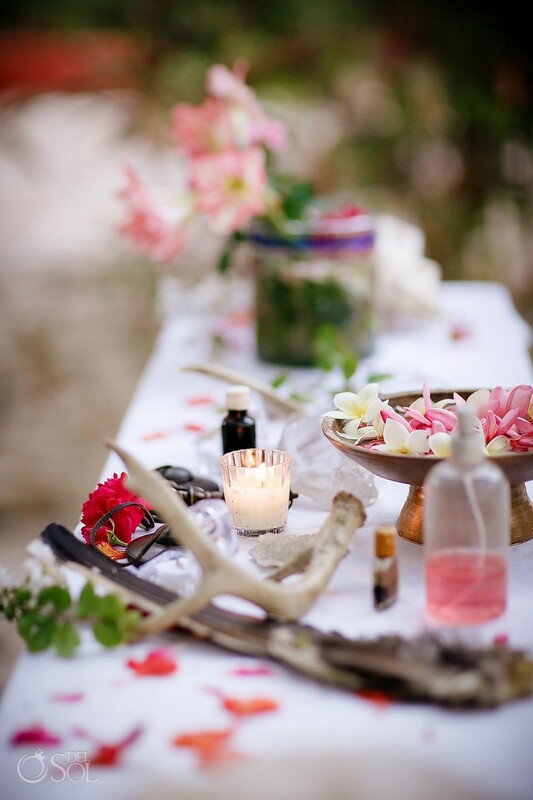 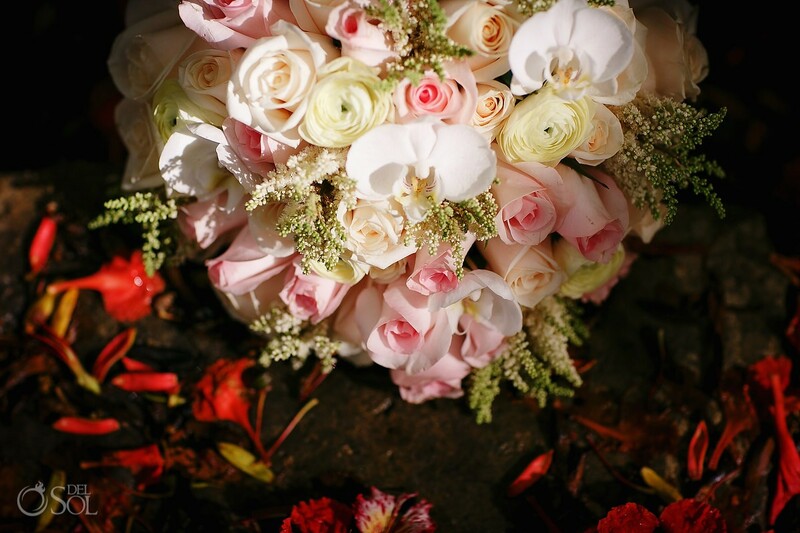 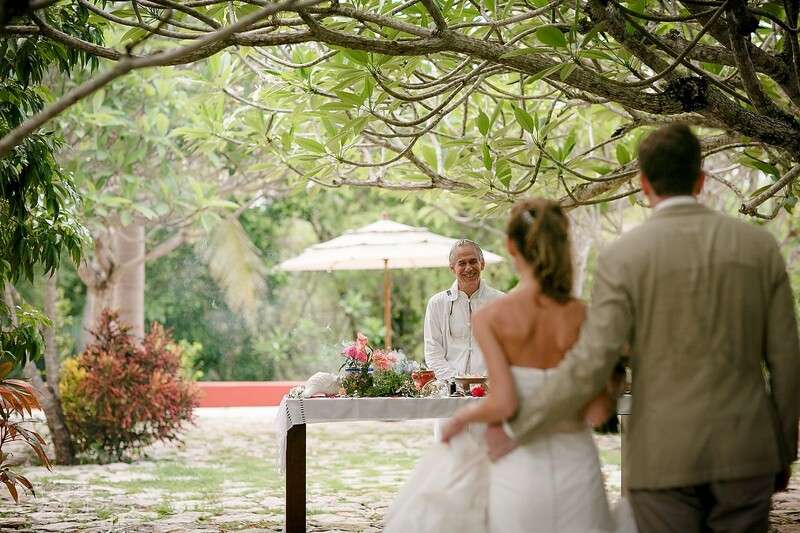 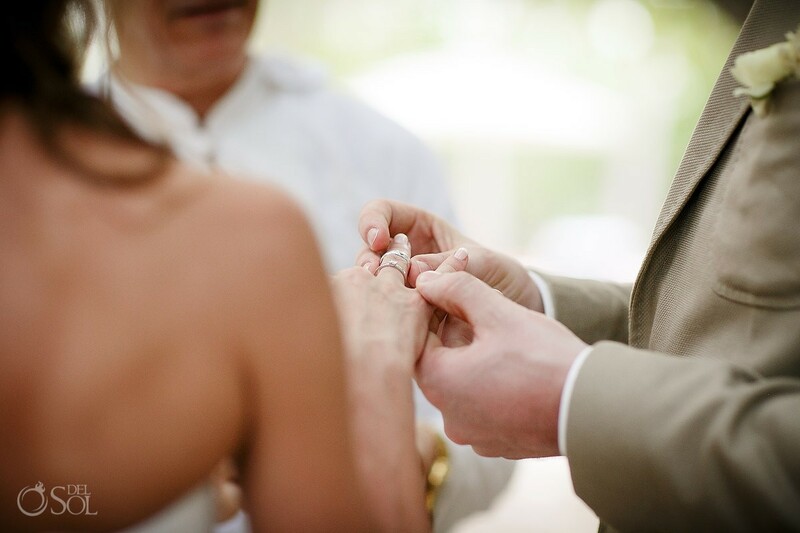 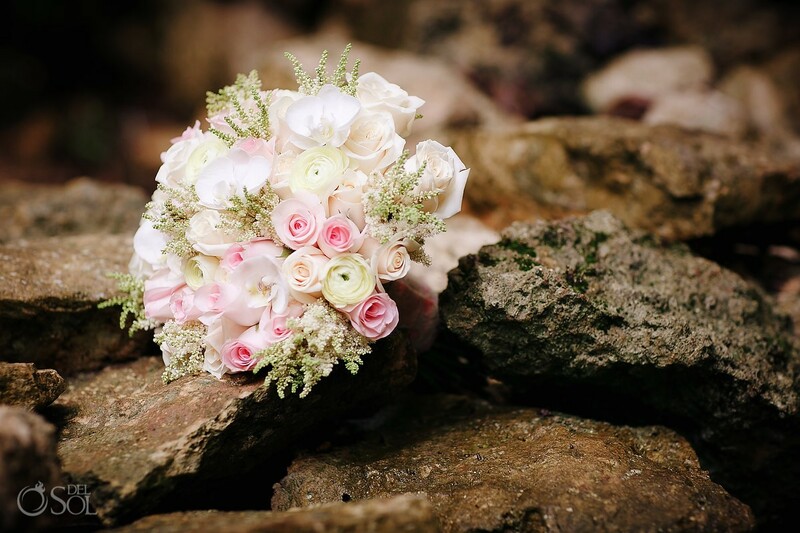 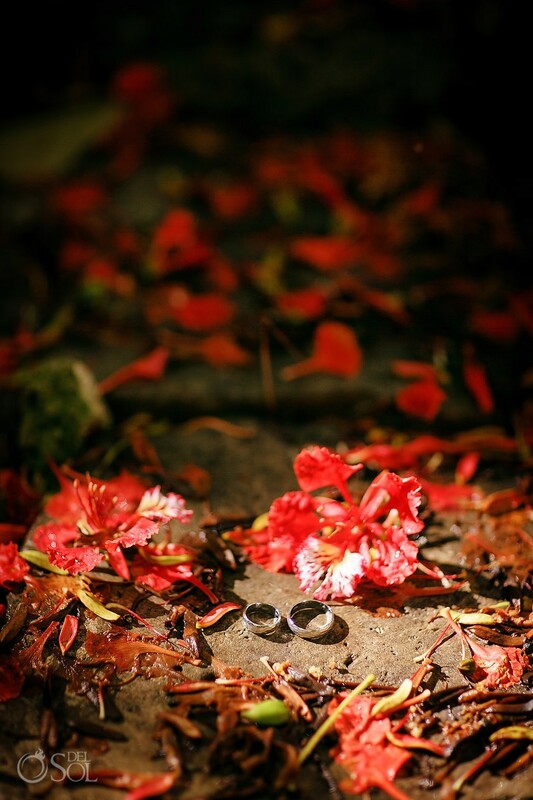 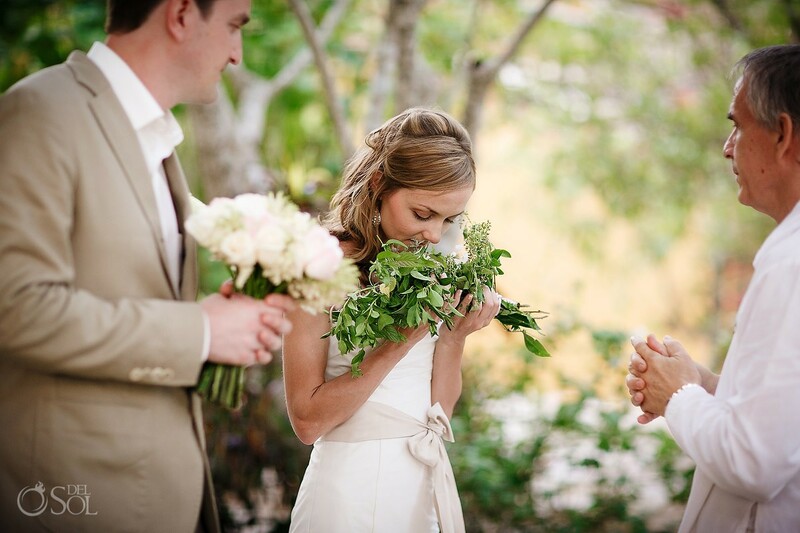 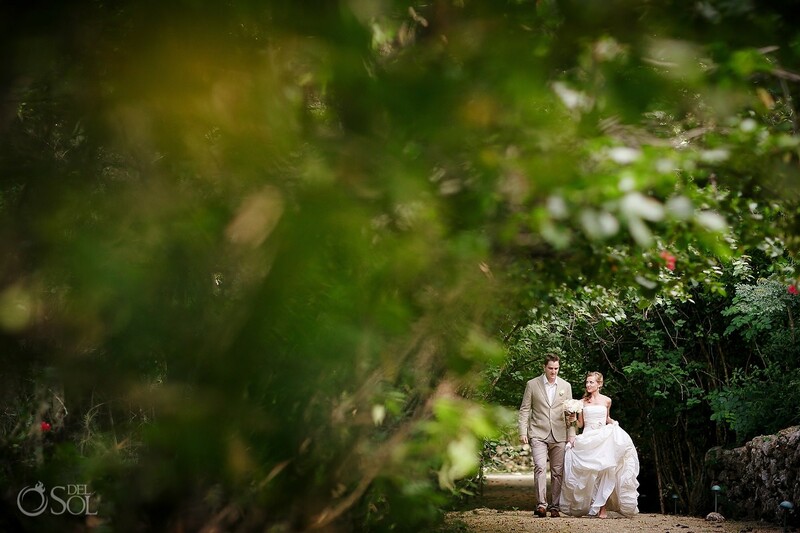 In a pretty garden, under ancient, soaring trees, the couple were united in a spiritual ceremony with natural blessings of herbs, flowers and incense. 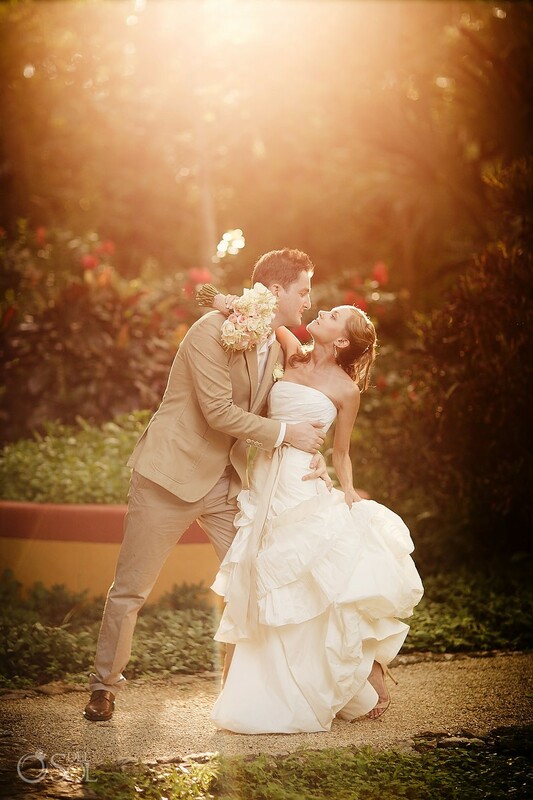 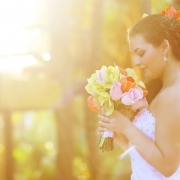 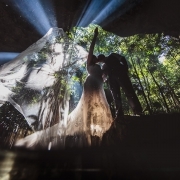 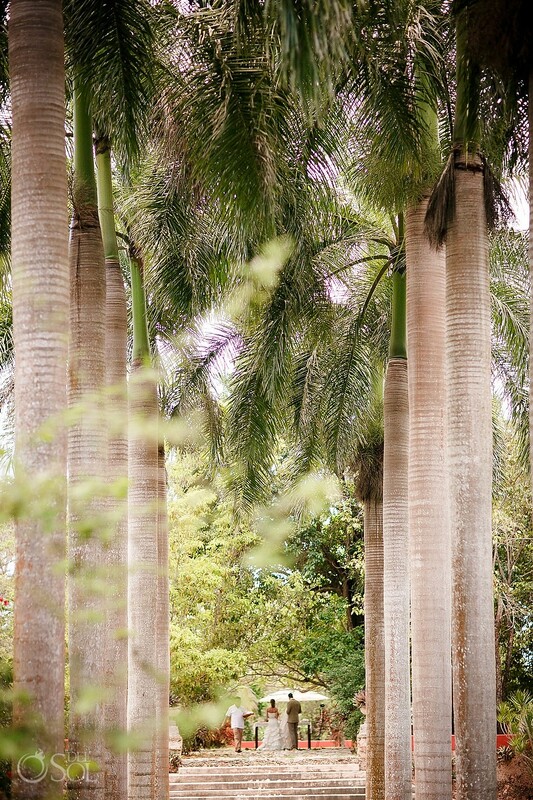 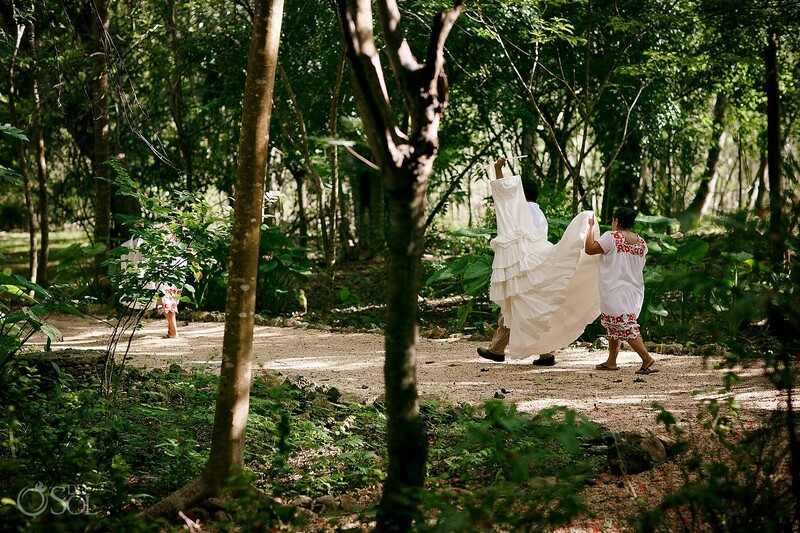 After the ceremony, the newlyweds joined the photographer for some portraits on the Hacienda grounds, the ruins of the ancient site and the green of the jungle make a stunning backdrop to the beauty and formality of the bride and groom. 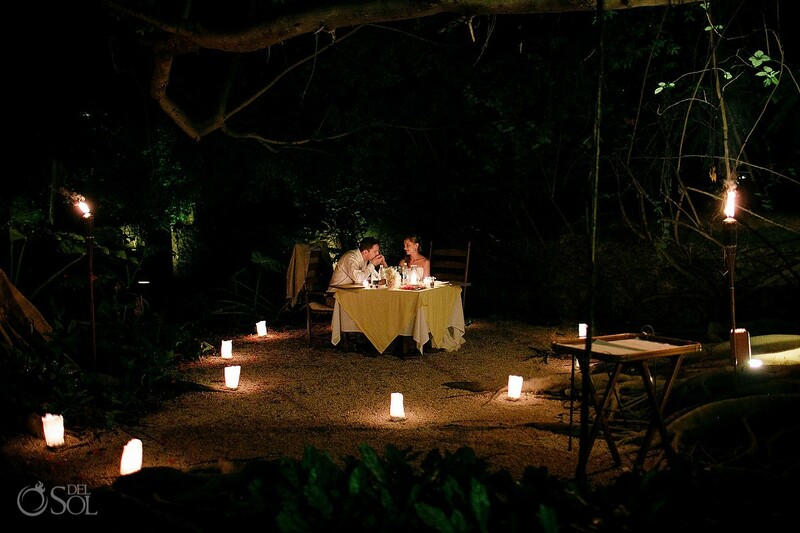 Their truly romantic day culminated in a dinner for two in a hidden grove with torches and candles and flower petals creating a fairy tale scene. 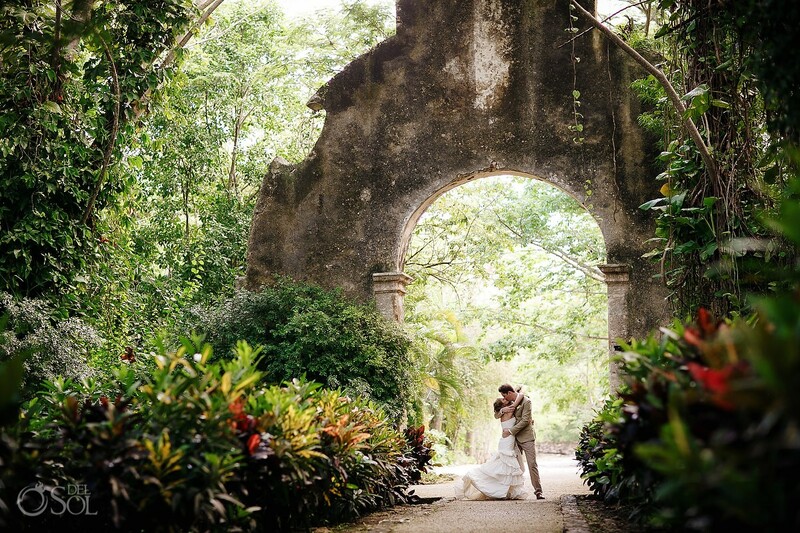 Del Sol Photography is excited to share these photos with you from our newest photographer Marina, please be sure to see the whole slideshow for all the romance and details!